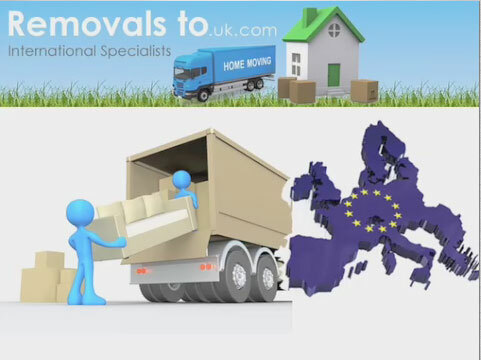 Removals to, offer a complete relocation service to Italy. Your call will be taken by a highly experienced relocation co-ordinator who will assist you in achieving the best possible method, price and service level for the relocation of your personal effects to Italy. Your co-ordinator will take care of every aspect of your relocation from door-to-door and will remain in constant contact to give you up-to-date status report’s and advice until you are happily settled in your new home abroad. We offer weekly removals to Italy and removals from Italy to the UK. Our vehicles depart for collections and deliveries throughout Italy and our highly trained crews are at your disposal to ensure your removal to Italy as as smooth as possible. Full packing and export wrapping services completed to B.A.R standards and unpacking in your new home where required. We offer part load services to all areas of Italy, we can accomodate any size move from 1 box or car, motorbike to an entire household. As we operate regular departure dates your move co-ordinator should be able to tell you delivery dates well in advance. We can assist with difficult access in Italy by utilising our network of Italian removals companies who can offer manpower, outside elevators and small vehicles for trans-shipment if required. The movement of your effects as an EU Citizen is unrestricted by customs clearance or procedures upon entering Italy.The only required document for your effects when moving to Italy is the inventory which will be completed on collection of your effects. Restrictions on the movement of large lorries are often implemented in Italy on these days, as well as Sundays. 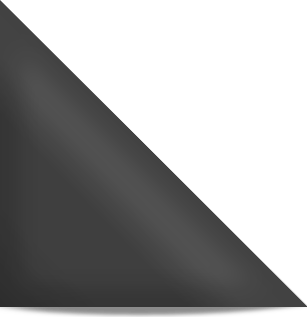 For an instant quotation simply complete our online quotation form or alternatively email sales@removalsto.uk.com or call free 0800 387 280 for instant advice or information. Italy, officially called the Italian Republic, is a boot-shaped Mediterranean country in Southern Europe. With over 60 million inhabitants, it is the fifth most populated country in Europe and a famous tourist destination with many particularities, among which are geography, art, architecture, fashion, history and culture. In Italy, both the terrain and weather start to vary drastically as you travel from north to the south of the country. You can experience everything, from the cold and harsh climate in the north, to the very humid and warm in the south, where some of the most beautiful Mediterranean islands can be found. With the country’s total area of 301,230 km2, and considering it’s coastline border of 7,600 km, it’s not too difficult to imagine all the varieties waiting inside. There are Apennine Mountains and Alps in the north; forming a natural border with France and Switzerland, and providing an interesting tourist destination for people all around the world. Italy’s highest point, Mont Blanc (4,810m), will surely be known to anyone interested in winter sports. Every year it attracts all willing to indulge in sport and hiking activities, be it foreign tourists or Italians from other parts of the country. Needless to say, winters in the south are quite timid and not particularly harsh. On the other hand, summer is to south Italy what winter is to its northern counterpart; a great source of income for the state and one of the best holiday opportunities to everyone else. There are all kinds of sports imaginable, although there’s a particular focus on one of them. Italian school of football is quite unique and enjoys a high amount of praise all around the world. If you’re not so much a sports fan, you can always visit Sicily or Sardinia, Italy’s largest islands, or enjoy the unique architecture visible at every step. Italy is also known for significant seismic activity. Because of it’s position, right on top of a meeting point between the Eurasian and African Plate, there are at least several strong earthquakes per year. Incidentally, that tends to coincide with the number of volcanoes in the area. Italy has 14 of them. The most famous ones are those still active: Etna, Stromboli, Vulcano and Vesuvius. Through the history, several of the islands have been created by their enormous eruptions. Still, Vesuvius remains the only active volcano in mainland Europe, mostly known for the destruction of Herculaneum and Pompeii. From the early architectural achievements, such as the construction of domes and arches, to some of the finest work in the Western architecture, the Leaning Tower of Pisa and the Colosseum, Italian architecture can be widely recognized and appreciated all around the world. The style is representative of the multicultural influence seen in everything from music to literature. There are many theaters, opera houses, art cinemas and fashion events to visit, and they all portray the diversity of this country’s political and territorial history. There are no exceptions, so a fan of any form of art should feel right at home on his travel through Italy. Italians are mostly known for their temper, localism and family values. It is not far from the truth as they are mostly warm and generous people willing to accept and respect different nationalities. The numbers back it up, as foreign residents make up almost 10% of the total population, and, after all, there are even two independent states within Italy, San Marino and Vatican City. If Flat Which Floor ? Unit 2, Upper Crossgate Road.